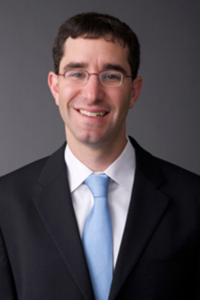 Professor Itai Grinberg’s research interests center on cross-border taxation, taxation and development, and U.S. tax policy. Professor Grinberg joined the faculty from the Office of International Tax Counsel at the Department of the Treasury. At Treasury, he represented the United States on tax matters in multilateral settings, negotiated tax treaties with foreign sovereigns, had responsibility for a wide-ranging group of cross-border tax regulations, and was involved in international tax legislative developments. Prior to joining Treasury, he practiced tax law at Skadden, Arps, Slate, Meagher & Flom LLP, where he focused on a wide range of international tax controversy and planning matters. In 2005, Professor Grinberg served as Counsel to the President’s Advisory Panel on Federal Tax Reform, where he advised a bipartisan presidential commission that made sweeping proposals to restructure the U.S. tax code. Professor Grinberg earned his B.A. from Amherst College and his J.D. from Yale Law School. Prior to law school, he worked as a development consultant in Central America and helped establish a consulting firm focused on creating greater prosperity in developing countries through good business strategy. He is a term member of the Council on Foreign Relations. Itai Grinberg, International Taxation in an Era of Digital Disruption: Analyzing the Current Debate, Taxes, Mar. 2019, at 85-118. Itai Grinberg, Comment on Miranda Stewart's “Redistribution Between Rich and Poor Countries”, 72 Bull. Int'l Tax'n 310-315 (2018). Itai Grinberg, User Participation in Value Creation, 2018 Brit. Tax Rev. 407-421.
International Tax Reform: Hearing Before the S. Comm. on Fin., 115th Cong., Oct. 3, 2017 (Statement of Itai Grinberg) (CIS No. : 2018-S361-186856). "Leaving Arm's-Length Means Defining Hard Concepts, Panel Says," coverage by Law360, February 15, 2019, quoting Professor Itai Grinberg. "Europe's digital tax plan 'totally unjustifiable'," an interview wtith Professor Itai Grinberg appearing in Luxembourg Times, October 12, 2018. "Companies Hope to Beat a New Tax Called the BEAT," coverage by The Wall Street Journal, June 26, 2018, quoting Professor Itai Grinberg.